Ana is 16 and is in 8th grade. Karla turned 14 and is in 7th grade. Celia is 19 and is in 11th grade, and our new girl, Sandra, is in 10th grade. 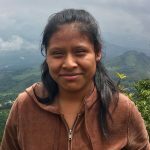 She came from the small town of Patzún where she was trying to pay her way through school on her own, but couldn’t afford high school. We’ve had the privilege of hosting 3 groups in our home this Spring. The ministries to the shoe shiners, street kids and homeless of our town continue to grow and reach new people. 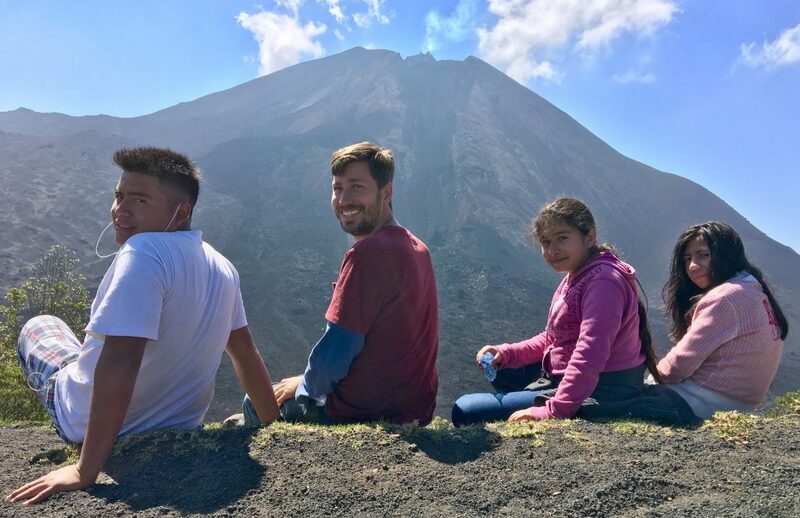 The volcano that erupted is about 13 miles from our town, but does not present a threat to us. All we got was some volcanic ash over our car and house, but it was washed away by the rain a few days later. All the girls are doing well at school. In fact, the love and unity with the girls has continued to grow and increase. Teens typically show some bad attitudes, and especially so when they come from broken homes. But our girls love being together and love living in our home. It’s so wonderful to have such a great relationship with each one and feeling like a family! Sandra is the newest member of our family, and we just love her happy and goofy personality. We’re so happy that she’s here with us! Margaret started pre-school this year, and she goes to school with our other girls. She loves making new friends and going to school like her “big sisters”! Yuliza enjoys teaching English at our girls’ high school this year. 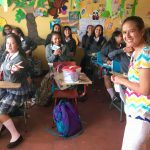 Celia and Sandra feel more connected to her as a mother and now as a teacher. Flora grew up with us and moved out on her own about two years ago. This April we had the privilege of being her parents in her wedding with her new husband Leonel! Our Pastor Rick and his wife Susan visited us for two weeks. They shared so much love, wisdom, and experience with us, our girls, and our family. It was great to have them here! They and their church have been such a huge help to us, and our friendship with Rick & Susan has grown deeper and deeper. 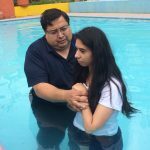 Pastor Rick baptized Yuliza’s niece Heidy. 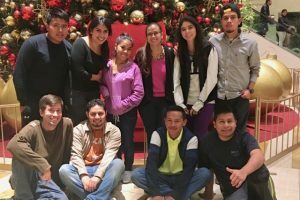 We had a six-person team from El Shaddai church in Bethlehem, PA visit us in June. 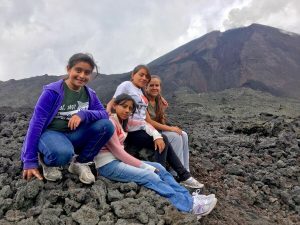 They joined us in the various ministries and orphanages that we’re involved with, and we also visited a refugee shelter for the survivors from the volcano that erupted. We visited families that had lost family members, but the most impressive part was when we prayed for them, the people gave thanks to God for His goodness and provision! It really humbled me, and I pray that I could have their same heart and attitude. One shoeshiner who has been very involved in our ministries came with us to visit Casa Shalom during our monthly trip. 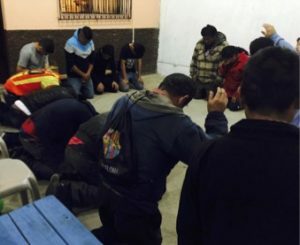 He gave up a lucrative money-making time shining shoes in order to support his family and meet his own needs, and he came with us in order to spread God’s love to other children. 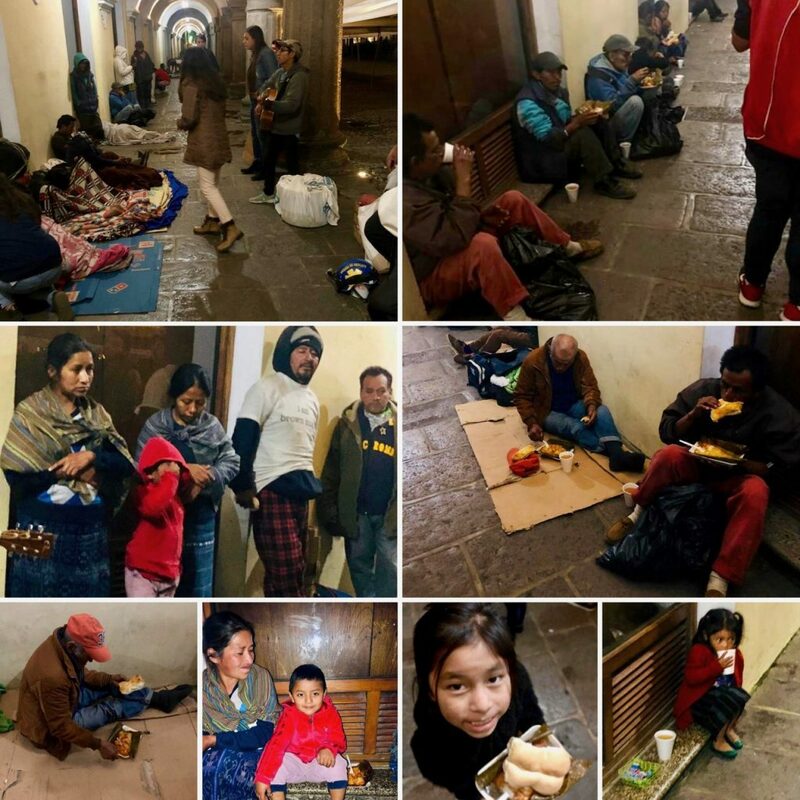 This is my dream: That orphans, street kids, and shoe shiners are so filled with God’s love for them, that His love pours out of them and into the less fortunate around them, so that all would know what a good, loving and perfect Heavenly Father we have! 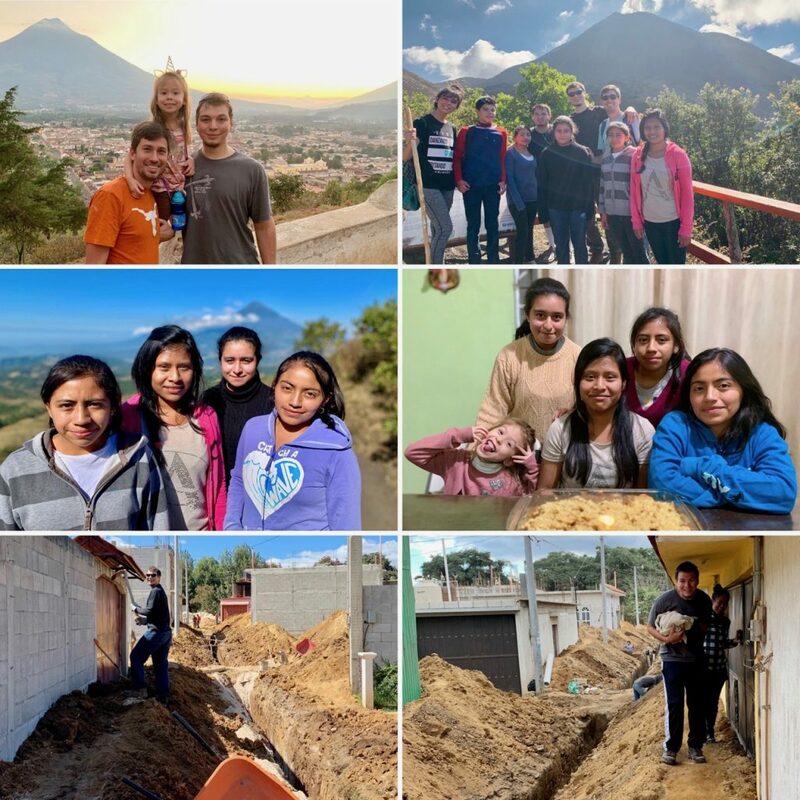 We’re blessed to be able to serve in Guatemala, and we’re so grateful for your continued generosity through the years. Thank you so much! 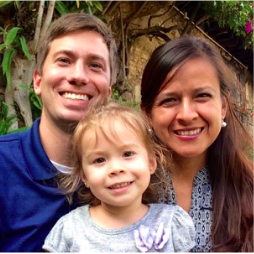 Please pray that God would continue to fill us with His love and wisdom as we minister in Guatemala. Please pray that both our past and present children would continue to seek the Lord’s will for their lives. And please pray for all those that will come to live with us in the future, that our home would be a place of refuge, peace, hope and love. This year we had five kids living with us who were in school. Karla, our youngest, finished 6th grade. She has been accepted to a magnet school that she will begin in January. 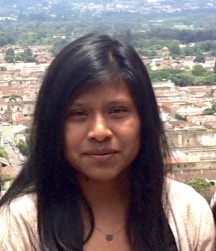 Celia finished 10th grade this year and is studying for a preschool vocational degree at her high school. Her sister Ana came to live with us this year, and she was in 7th grade. 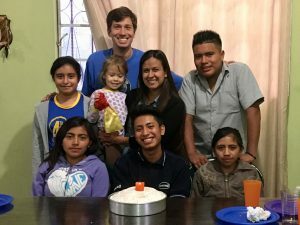 Alfonso studied at a computer programming focused high school for 10th grade, and we received a new child, Julio, in March who also was in 10th grade. 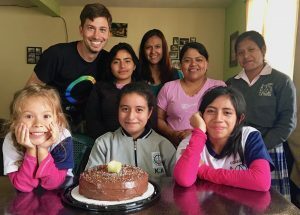 We’ve known Julio since he came to Casa Shalom when he was 5 years old, and this year he turned 18 in April. It’s been a blessed year with the kids. All of our physical needs have been met, and we always had enough food for everyone. In fact, it’s been amazing to watch our kids grow so much! We had more financial needs this year with all five in school, and they were able to grow more prepared mentally for the future. 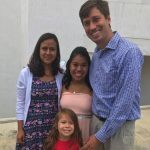 A Christian psychologist friend of ours offered her services at reduced rates, and we’ve seen progress as our kids work through the emotional baggage of their life circumstances. 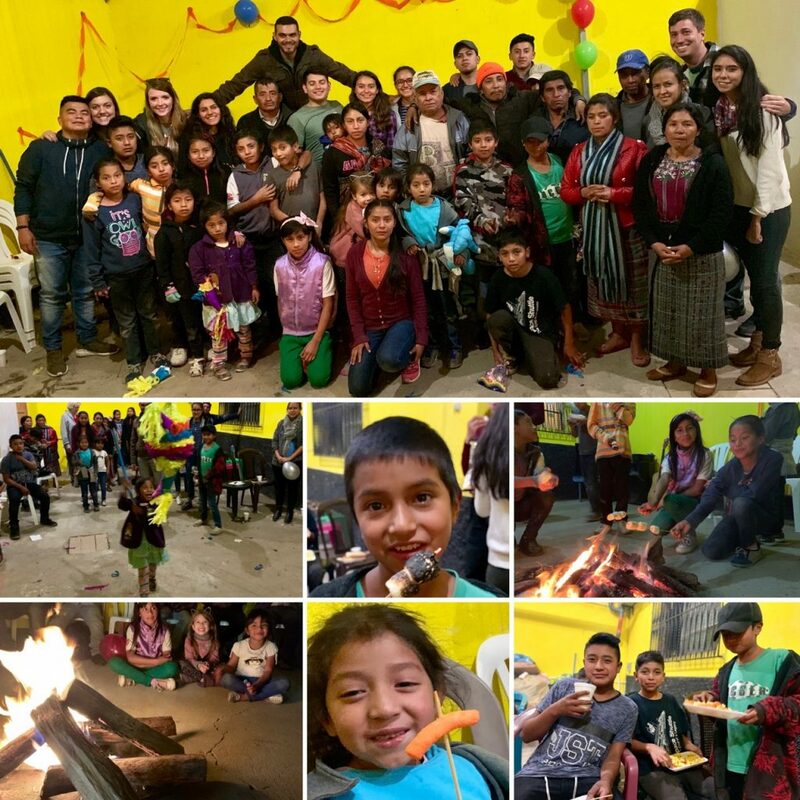 And last, but not least, we have been blessed to have the spiritual help of a pastor friend of ours who has been coming over weekly to lead Bible studies with the kids and to encourage them in their spiritual walks with the Lord. It’s been a great help to have his wisdom and expertise in teaching Biblical truths. Our hope is that all of our teens understand the great importance of having a personal relationship with the Lord. 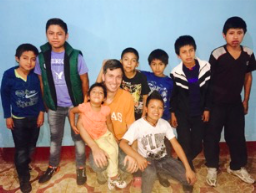 Unfortunately, close to the end of the school year, we had serious problems with our two guys, Alfonso and Julio. They took some attitudes and actions against the girls and against our family, and they are no longer living with us. 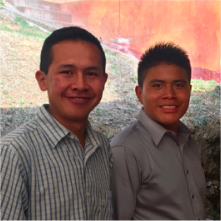 Alfonso had been with us for 3 years, and we’ve known Julio for a long time, so it’s been incredibly sad to have them gone, but we are trusting and praying that God will continue the work that He started in their hearts. We ask that you join us in prayer for these two guys, too. As we’ve mentioned previously, Flora had found a stable job last year and was able to move into an apartment. And this year Carlos found a job as a guard at our teens’ school and now lives there. We see them both regularly, and it’s great to see them stable, happy, and seeking the Lord’s will for their lives. 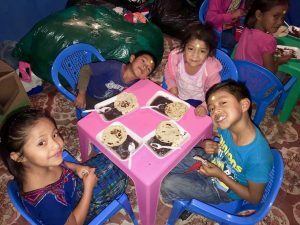 We continue to serve the poor and needy of our community in Chimaltenango by serving breakfast in our central park every Sunday morning. 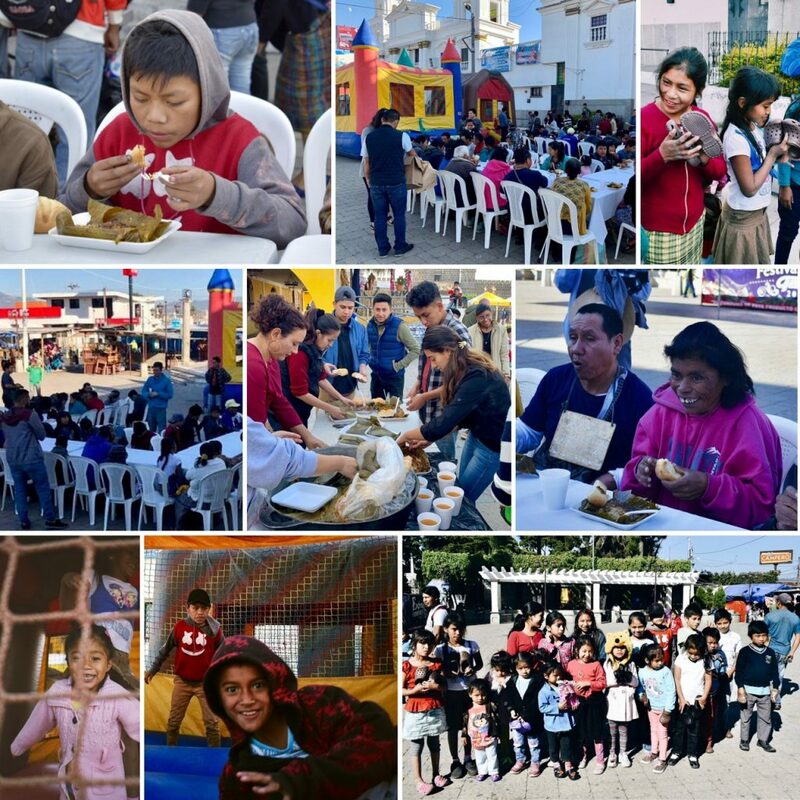 We give 100 meals every week and use the opportunity to share God’s love with the shoe shiners, street vendors, alcoholics and people living on the street. This year we’ve received a permanent place to have our Monday night Bible study & dinner together, and we typically have 30 people come. It’s been fantastic to be able to meet together weekly at a permanent place, and now we can split off the young children into their own class which has allowed better interaction & discussion with the older group during the Bible study time. 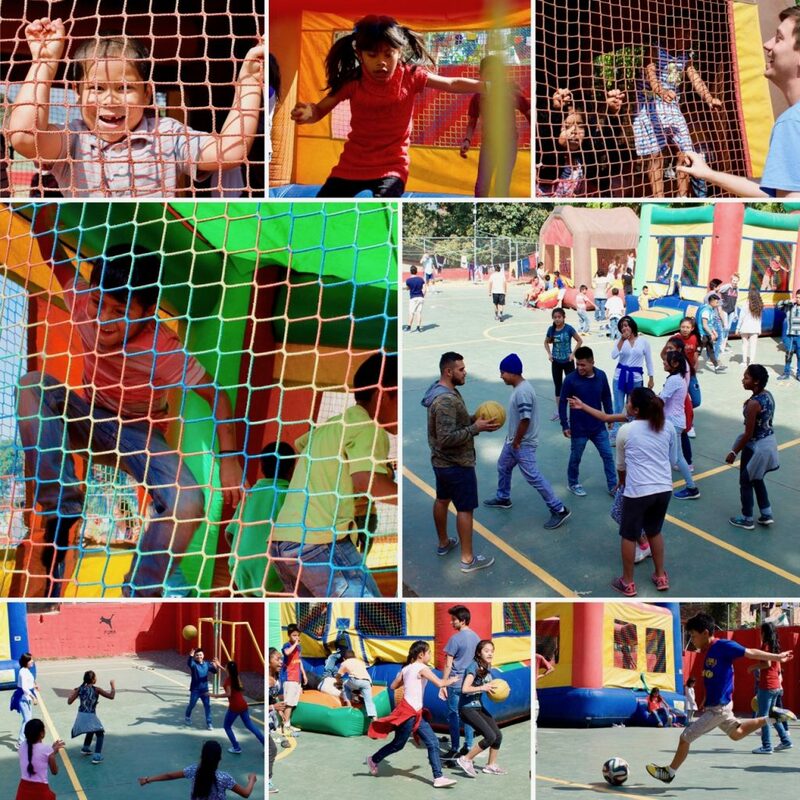 And we’ve greatly enjoyed getting to know the kids and families much better. On the 21st of December we will have a Christmas party at the park with everyone, and we’re expecting 150 people. 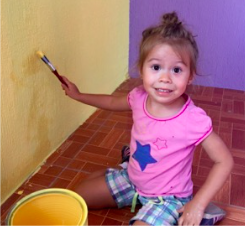 And then on December 27th we’re visiting the orphanage Casa Shalom for a Christmas party with the children. Our daughter Margaret turned 5 last and is such a cheerful and fun daughter. She loves mermaids, Paw Patrol, stuffed animals, and her new bunny, Zoe. lives. And please pray for all those that will come to live with us in the future, that our home would be a place of refuge, peace, faith, hope and love. Pray for Alfonso and Julio. 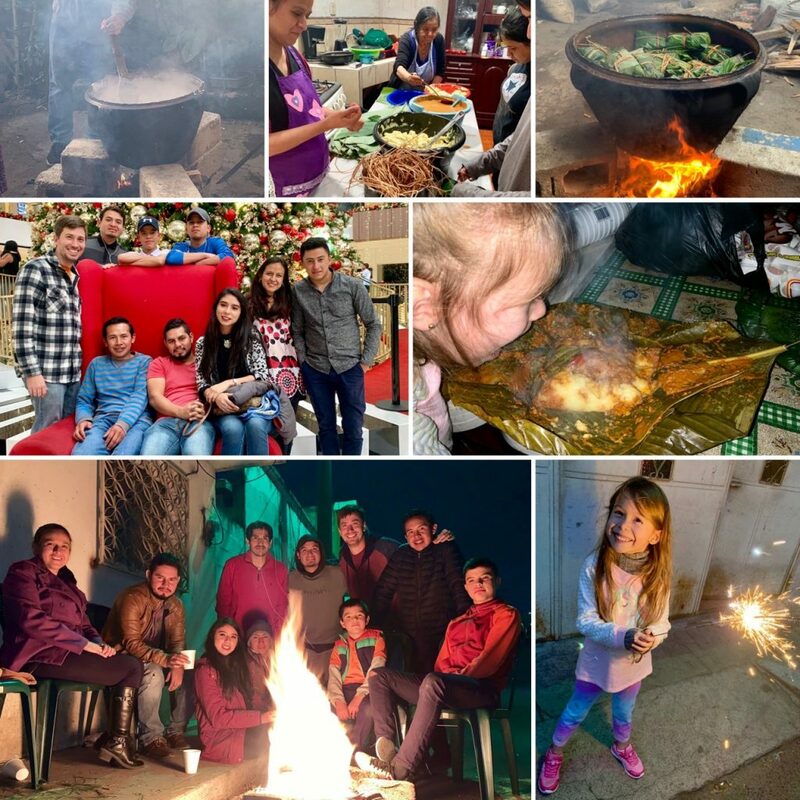 Pray for our end of year activities with the orphanage and shoe shiners. 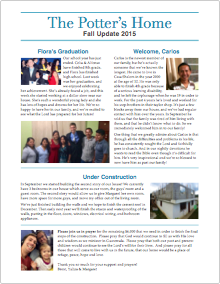 Pray as we seek new children for our home before the new school year that starts in January. Thank you so much for praying for us this past month! We received so many wonderful emails, and it’s been very encouraging and uplifting for us. It’s been a really busy month, and I want to let you know about everything that’s been going on here while you’ve been praying. All of our kids are doing well. This week is exam week for the end of the first quarter of school, and so everyone’s studying hard. We did have an issue about 3 weeks ago where I had a problem with Alfonso because of his behavior, and to be honest, I didn’t handle it well at all. I was tired and frustrated, and I didn’t control my anger. He ran away and went to stay with his mother for a few days. Fortunately, we were able to talk about everything, and I was able to apologize for not acting correctly. He’s been back since then, and I think that God used the situation to allow us to have some good conversations about everything. Please pray for Alfonso as his heart is so broken because of his parents’ actions. I would also appreciate your continued prayers that I would have more wisdom and patience with all of our children. We’re also talking to a new boy who might join our family named Julio. 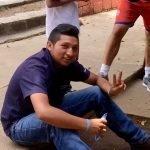 He is 17 and, like many of our kids, grew up at Casa Shalom. But he left the orphanage 2 years ago and hasn’t been living very responsibly. We’ve been talking to him for many months, and he’s realized that his actions are causing him a lot of problems and he wants to start over. We had a long talk again with him yesterday afternoon, and he’s thinking and praying about everything. 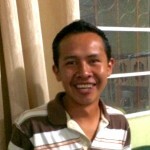 Please pray that God would direct Julio and us with this big decision, and we hope that he will come to live with us. 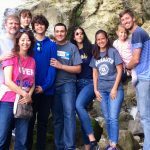 We had a young woman named Keila visit us for about two weeks. She attends our home church in Austin, Texas where she works with their women’s rehabilitation home. She wanted to come to visit us and see what we do with our kids, and it was great to have her here to love our kids. Our Monday night meetings with the shoeshiners are going well, and fortunately we have received more help with some new volunteers and a bunch of the helpers who had left are coming back. I would appreciate your continued prayers as it’s still a lot of work of food preparation and energy to work with them. Monday night was extra special because a young boy named Fernando asked to pray to receive Jesus as his savior! He’s 9 years old and just started to come this month to our Monday night meetings. Thank you for praying!!! I’m sorry that I don’t have any pictures of him, but I’ll try to get a picture soon. 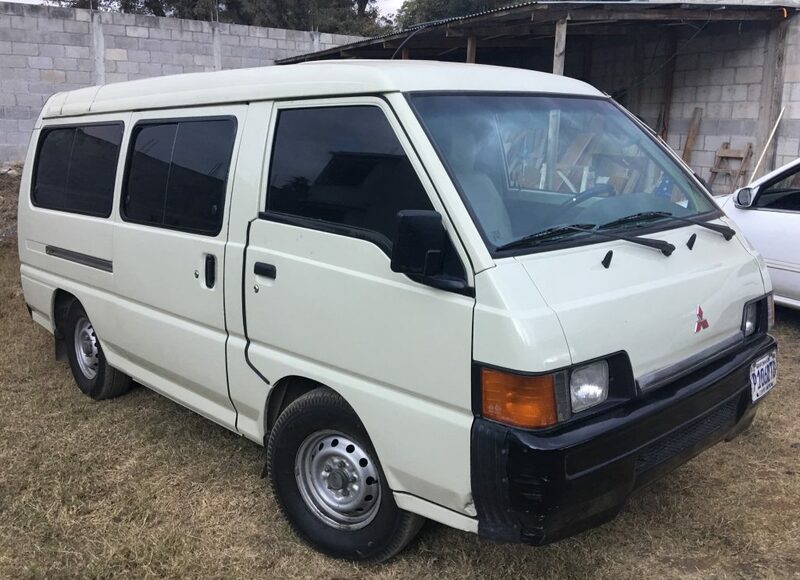 And here’s another answer to prayer… We bought a van! We found a 2007 Mitsubishi 12 seat van for sale at a price that we could afford and bought it about a week ago. It’s fabulous!!! Thank you to everyone who provided the money to be able to buy it! It’s a huge blessing to us. Many of you have probably already heard about the tragedy that occurred in a government run orphanage on March 8th when 40 girls died in a fire after being locked in a room together. It’s truly a terrible and heartbreaking story. Here’s a story about what happened on Reuters. 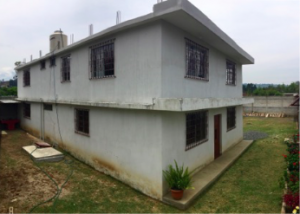 The orphanage, which is located about 40 miles east of us, is being shut down by the Guatemalan government, meaning that new places have to be found for roughly 700 children who are now without a place to live. Please pray for all the orphanages who will be receiving these children. 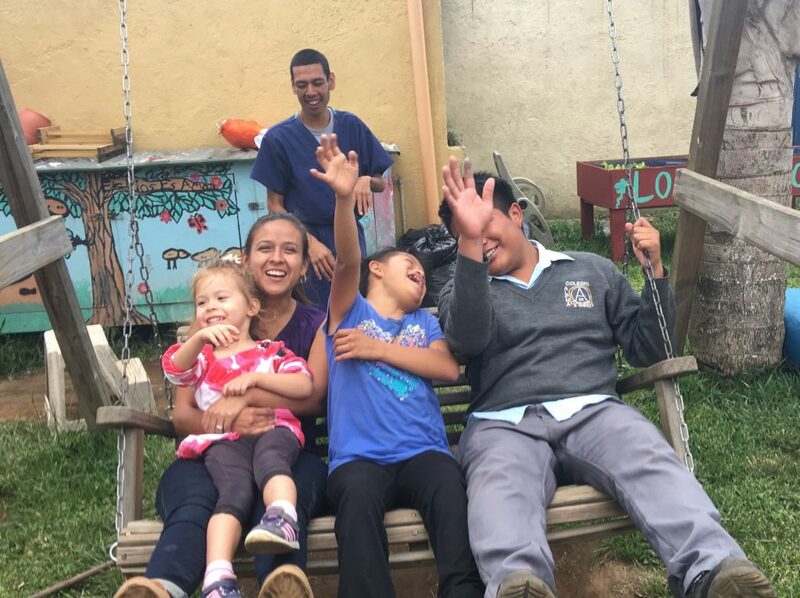 In our town there is an orphanage for children with special needs called Los Gozosos. They are taking in 10 special needs children from this orphanage which doubles their number to 20. 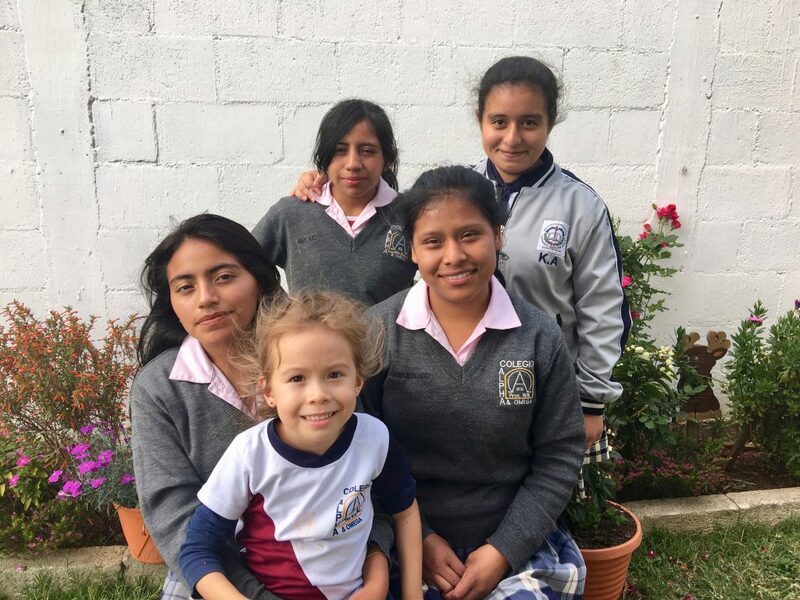 We’ve gotten to know the orphanage well over the years because our friend Diamond, who has stayed with us several times over the last 3 years, volunteers there. And we’ve gotten to know the director Maureen well, and she’s truly an inspiring lady with a huge heart to care for these special children. Los Gozosos always struggles balancing their budget with all the costs associated with running a home that cares for kids who have lots of extra and unexpected costs. 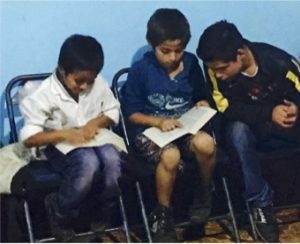 They’re converting some classrooms into bedrooms for the incoming children, but they need a lot of financial help to buy additional beds, medicine and food. Their webpage is at www.losgozosos.org. So here’s my request: Would you consider supporting this vital ministry? I know that money can be tight, so if you were planning to send support to us, could you send it to them??? They really need the help. Here’s their online donation page. Thank you again for your prayers these past 30 days. It has meant a lot to us, and we need them! Thank you for your generosity allowing us to buy a van and for supporting the work that we do with the kids. 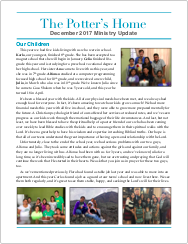 A little over a month ago I sent out a newsletter (which you can find here), but I want to ask for your prayers. Would you consider praying for us daily for the next 30 days? There’s a lot going on, and I desperately desire to be in the center of God’s will for the ministry that He’s given us. Like, seriously, could you mark on your calendar to pray everyday until Sunday, March 12th??? 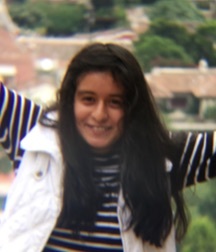 The new school year started in January, and we’re really happy that Celia’s younger sister, Ana, came to live with us. She finished sixth grade last year, which is all that is offered in their town. It’s so great to have her with us now! Please pray for her adjustment to living with us. 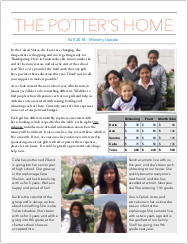 Please pray for Celia and Alfonso as they’re in new high schools, and for Karla who is in sixth grade. One wonderful thing to see is how Karla’s worked so hard to befriend Ana and help her to feel comfortable. They quickly became friends! 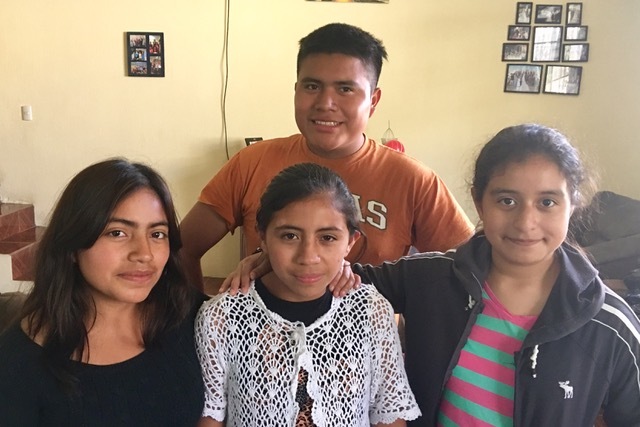 Our oldest boy, Carlos, received a new job this month as a guard at the school where Celia attends, so he now has to stay there. It hasn’t been easy for him to be away, but it’s great to have a more stable employment. Please pray for us as we try to care for all of them, and pray as we teach them about God’s great love for us and encourage them to grow in their relationship with Him. It’s so hard for kids from orphanages and broken homes to feel the security that God loves them and cares for them. I really want to see our kids experience the peace that comes from Him. We started weekly meetings on Monday nights in January with the shoeshiners, and it’s been great to have more consistent time with them. We have roughly 20 who are dedicated to come, and I’m privileged to be able to share the Word with them each time. We also feed 100 people every Sunday morning in the park, so we’re cooking a lot for those activities. 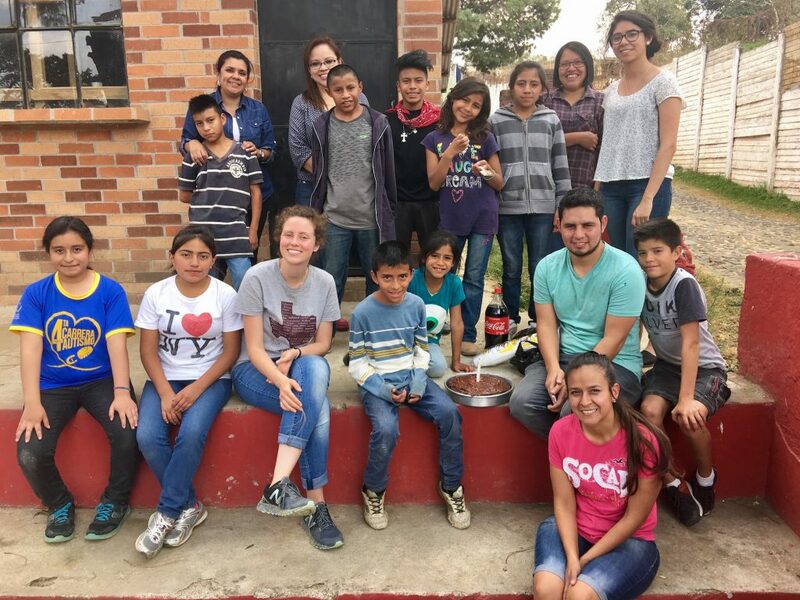 A group of teens and young adults help us a lot with the activities, but have been having a lot of problems this year. Some are just tired or preoccupied with their own life’s busyness. Others are fighting and some have fallen away because of sin. I’m trying to have a more active role in discipling some of them and ministering to them as a group more regularly. I understand that they’re young in both age and faith, and I hope to help them mature in their faith. Working with them has really consumed a lot of time and emotional energy this past month, so I’d really appreciate your prayers for me. A common topic of conversation in the States with people my age is how to have a good balance between work & home. And I struggle knowing how to balance the two since my work is largely in my home. Our kids would love to have my attention every second that they’re here, and they get jealous with each other if one feels like I’m helping another more with homework. I’m so incredibly blessed to have a very dedicated wife who has the same heart as me. She’s been working with the the kids nonstop today on all their homework and school projects. And Margaret is so sweet and happy. She just loves everyone. But I really ask your prayers that I can always be mindful to spend enough time with my family and not overcommit to helping others at the cost of not helping my own wife and daughter. A van. We’ve been looking for a long time, but we haven’t found one that will work well for us. I’d like to start construction on the girl’s house this year. It would be great to have them here on premises instead of renting a house down the street. Thanks so much for your prayers; I hope to send an update in 30 days about everything that’s happened! 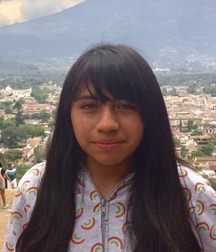 Karla, our youngest girl, turned 12 years old last year, and she’ll be going into 6th grade when the new school year begins in two weeks. She’s been a true joy to have with us, and we’re happy to have her in our family. Celia just turned 18 and she finished 9th grade. This is a big accomplishment here because many children are not able to go to school this long. So they have a big graduation ceremony, and she’s the first one in her family to finish 9th grade. This month she starts vocational training to be a preschool teacher. 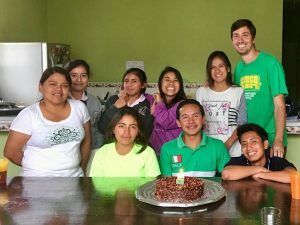 Alfonso is now 17, and he also finished 9th grade last year. He is also about to start 10th grade and will receive training in computer programming. In some ways he can be our most challenging child, but we’ve enjoyed seeing our relationship with him grow tremendously during these last few months. It’s wonderful to watch him start to fully understand how much we love him. Flora is now 23, and she is working in a store near our house. This has been her first year to be working, and she enjoys making a salary! She transitioned into her own apartment about two months ago and now lives about a quarter mile from us. It’s wonderful to be able to continue help and counsel her, and to see her continue to seek the Lord’s will for her life. 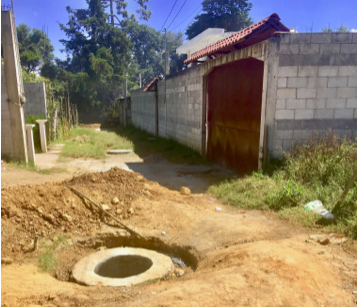 And Carlos is now 26, and he continues to work at a pure water distribution company. He’s such a sweet and easy-going guy, and he continues to seek the Lord’s will for his life. The new school year starts in two weeks, so right now is the best time for our home to grow. We’re currently talking to two families about caring for their kids and giving them an education, and in both cases we’re receiving resistance to the idea by the parents. 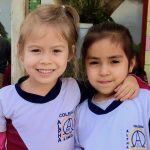 We’ve met the kids through the orphanage, Casa Shalom, and they’d really like the opportunity to go to school. 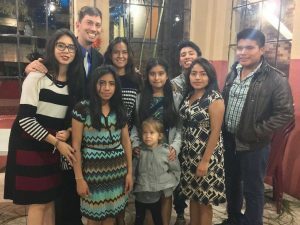 But they’ve been sent back to their parents by a child-services judge, and the decision is up to the parents. Please pray for God to work on their parents’ hearts so that they can come to live with us. 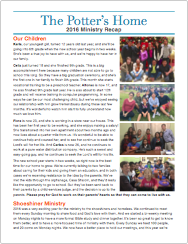 2016 was a very exciting year for the ministry to the shoeshiners and homeless. We continued to meet them every Sunday morning to share food and God’s love with them. And we started a bi-weekly meeting on Monday nights to have a more formal Bible study and dinner together. It’s been so great to get to know them better, and to have a more focused time of ministry with them. Every Sunday we feed 100 people, and 20 come on Monday nights. We now have a better place to hold our meetings, and this year we’re changing to weekly meetings. It’s a much bigger time and financial effort, but it should provide more consistent attendance. The teens and young adults that we have helping us are very dedicated, and they raise the majority of the finances through people of our community. I hope to continue to minister with them and to them. It’s so easy to get so focused on the physical needs of the people around us that it’s easy to forget about their much greater need of a Savior. 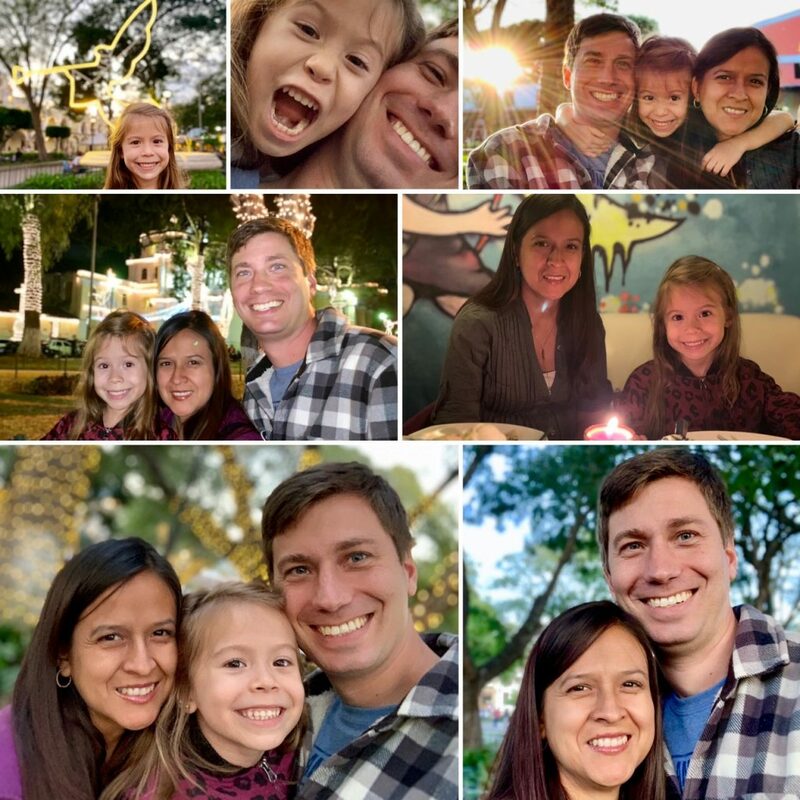 In early December we were able to take a trip to visit our home church in Austin, Texas. We had a great time staying and fellowshipping with our pastor and his family, and it was so wonderful to reconnect with lots of old friends. 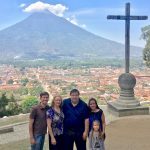 The trip was extra special because our dear friend, Edwin, was able to go with us. He grew up at Casa Shalom, and I was his houseparent when he was a teenager. It’s been great to work with him these past 12 years and watch him grow into the man he is today. 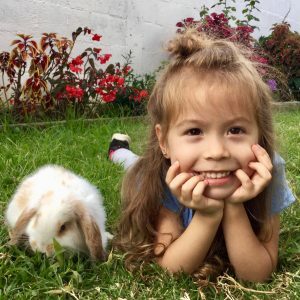 (Goofy story: I was so shy to talk to Yuliza when I was trying to get to know her, and Edwin helped me!) During our trip Edwin was able to visit his mother who lives just south of the border in Mexico whom he hadn’t seen in many years. Our daughter Margaret turned 4 in November and is such a joy to have. She’s as happy and playful as a child can be, and she’s become a aficionado of slides. We can’t pass one without her wanting to try it out! Please pray for the families of the kids that would like to come and live with us. Please pray as we search for a van. We’ve been generously donated the money, but finding one has been challenging. It would be a huge help to both our children as well as the shoeshiner ministry. We currently drive a small sedan. 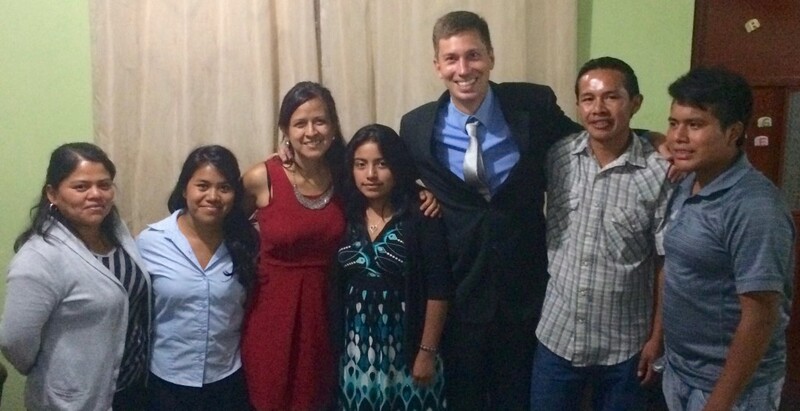 We’re excited to continue to grow as a family, and the newest member of ourfamily is an 11 year old girl named Karla. 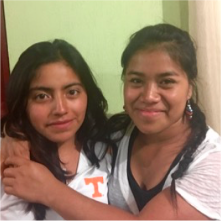 Our wonderful helper, Erika, was Karla’s teacher last year, and they became close friends. Erika learned that Karla was being raised by her grandmother who was going through a very tough time financially. 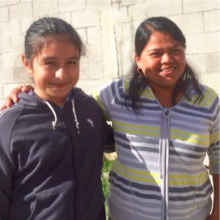 She wasn’t sure if she would be able to provide for Karla to go to school this year. So we decided to invite Karla to come live with us! It’s been great to have her in our family. She’s incredibly bright and dedicated to school, and I’ve never met someone who enjoys Bible trivia more than her. She’s a whole lot of fun. 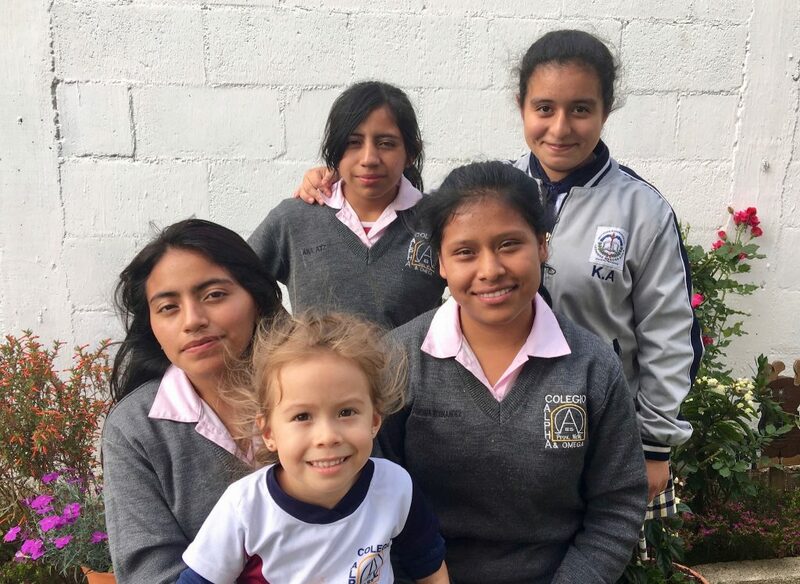 Celia is now in 9th grade at school, and she continues to be a really sweet girl. 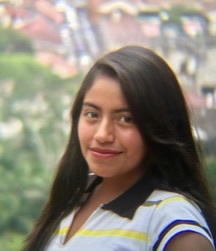 Here in Guatemala students pick a vocation for 10th grade to study, and she’s thinking about learning to be a teacher. Flora graduated from high school last year with a degree in business administration. She received a job at a dollar store in the mall in our town. She’s learning a lot about the working world, and she’s enjoying getting her first paychecks! Alfonso is in 9th grade with Celia, and he continues to do well. He also needs to pick a vocation for next year, and he’s thinking about either graphic design or computer programming. Carlos has recently started an apprenticeship to Erika’s brother to learn to be a metal worker. He has some learning disabilities which has made it very difficult to succeed in schools, and so he’s very excited with this new opportunity. alcoholics who come by for a hot meal. And this year we’ve started a Bible study and dinner on Monday nights to allow us to spend more time together and to grow spiritually. We typically get 20-25 people come to the service, and it’s such a blessing to be able to share God’s Word and His love with them! We’re so grateful for your wonderful generosity! 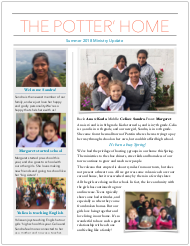 I wrote in our last newsletter about our financial need in order to finish building the second story of our house, and I was incredibly blessed and humbled by your generosity. We received all that was needed to finish the construction, and it’s finished It’s such a blessing to have more space, and Margaret is so happy to have her own room now! available, and we’re praying for new kids who might come and join our family. We’d appreciate your prayers for this as well. We want to be a help, example and blessing to more, and we’re trying to follow God’s leading as to who should come and be part of our family. We also have more space for visitors, and we’d love to have a few teams come and visit us. Our faithful intern, Diamond, is coming to stay with us again this summer, and a couple named Phillip andNataly will be visiting next month. 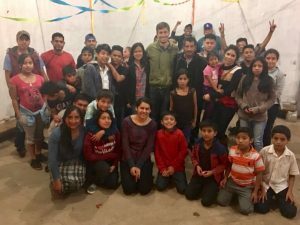 I know how transformative my first trip to Guatemala was to my life, and we’d love to help others who want to explore what God’s will is for their lives. Our school year has just ended. 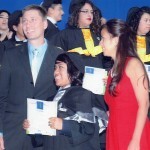 Celia & Alfonso have finished 8th grade, and Flora has finished high school. Last week was her graduation, and we enjoyed celebrating her achievement. She’s already found a job, and this week she started working at a dollar store near our house. She’s such a wonderful young lady and she has lots of hopes and dreams for her life. We’re so happy to have her in our family, and we’re excited to see what the Lord has prepared for her future! Carlos is the newest member of our family, but he’s actually someone that we’ve known the longest. He came to live in Casa Shalom in the year 2000 at the age of 10. He was only able to finish 4th grade because of a serious learning disability, and he left the orphanage when he was 19 in order to work. For the past 4 years he’s lived and worked for his step-brothers in their taylor shop. It’s just a few blocks away from our house, and we’ve had regular contact with him over the years. In September he told us that the family was tired of him living with them, and that he didn’t know what to do. So we immediately welcomed him in to our family! 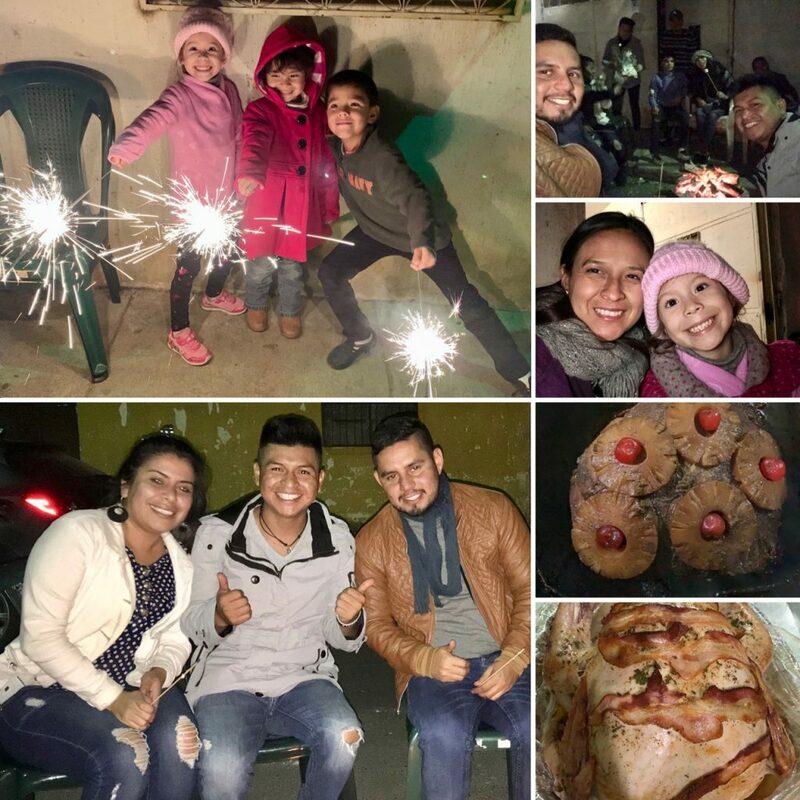 One thing that we greatly admire about Carlos is that through all the difficulties and problems in his life, he has consistently sought the Lord and faithfully goes to church. And in our nightly devotions he wants to read the Bible even though it’s difficult for him. He’s very inspirational and we’re so blessed to now have him as part our family! In September we started building the second story of our house! We currently have 3 bedrooms in our house which serve as our room, the guys’ room and a guest room. The second story would allow us to give Margaret her own room, have more space for more guys, and move my office out of the living room. We’ve just finished building the walls and we hope to finish the cement roof in December. Then early next year we’ll finish the stucco and waterproofing of the walls, putting in the floor, doors, windows, electrical wiring, and bathroom appliances. 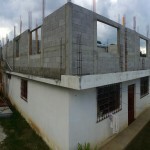 Please join us in prayer for the remaining $6,000 that we need in order to finish the final steps of the construction. 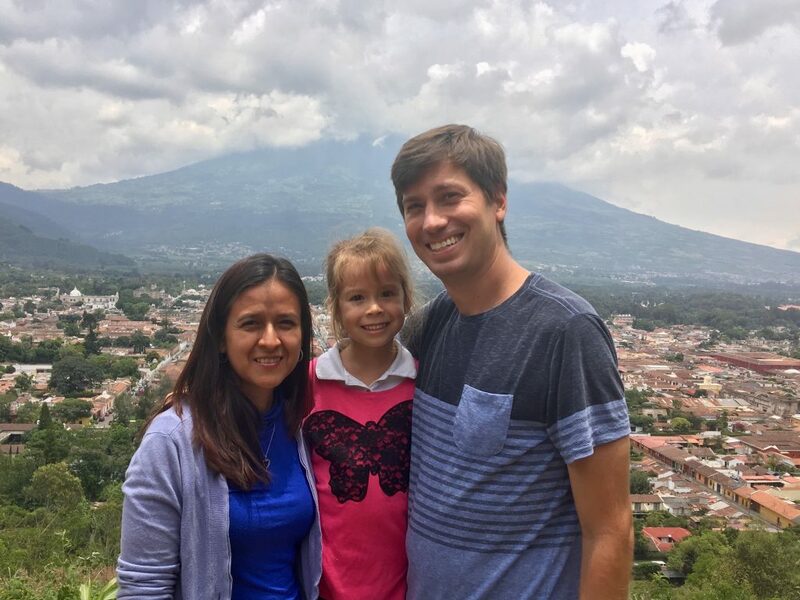 Please pray that God would continue to fill us with His love and wisdom as we minister in Guatemala. Please pray that both our past and present children would continue to see the Lord’s will for their lives. And please pray for all those that will come to live with us in the future, that our home would be a place of refuge, peace, hope and love.